There's no denying that for the past couple of months I have been in a complete recipe slump. Hence the reason for zero recipes around here lately. So when my best friend recently sent me a little care package complete with handwritten recipes, spices, and nut flours, which are all locally made in Maui (where she lives) I was ecstatic! She really is the best! My boys have been begging me to make something sweet, so over the weekend I figured it was the perfect time to test out the Hula Pie cookie recipe she sent me. OHHHHHHH MYYY goooooodness. 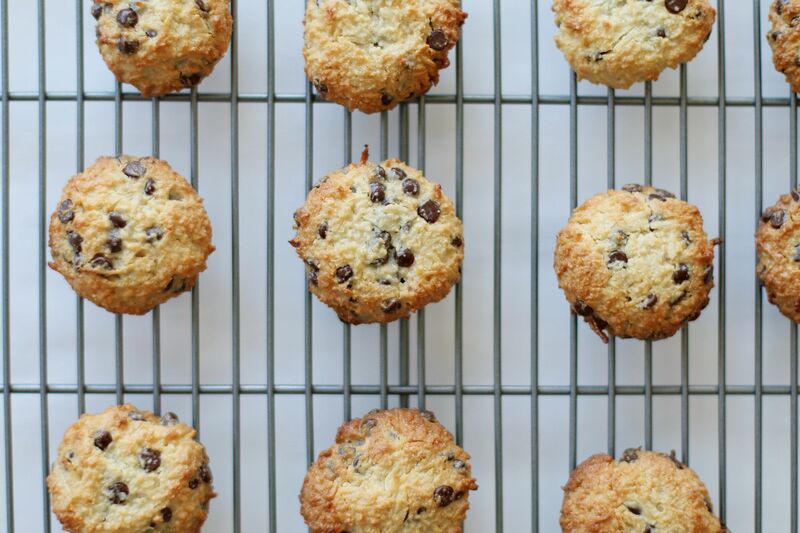 These are freaking unbelievable and so simple to make. * Stir in these ingredients by hand. 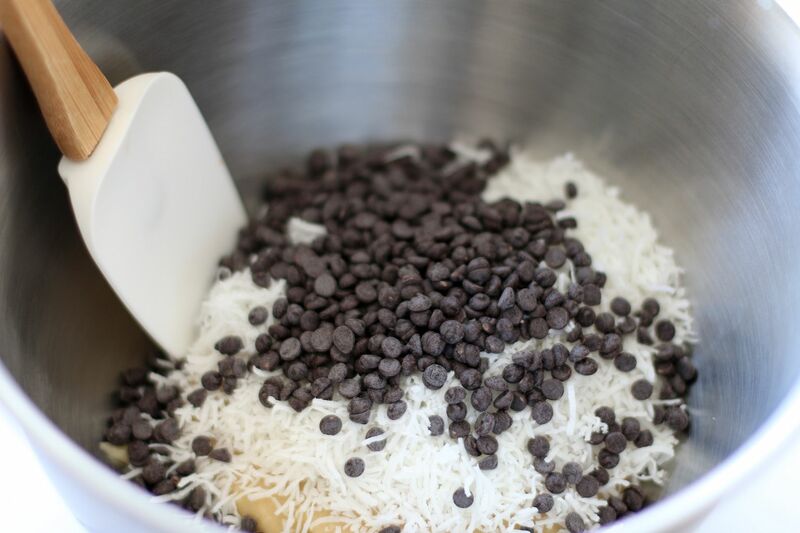 Place all of the ingredients (except the shredded coconut and chocolate chips) into a food processor and process until smooth. 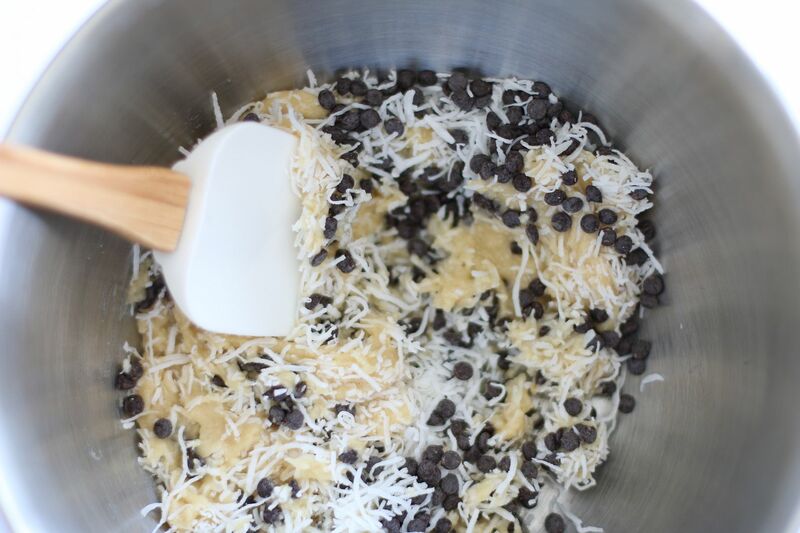 Place batter into mixing bowl and stir in shredded coconut and chocolate chips. 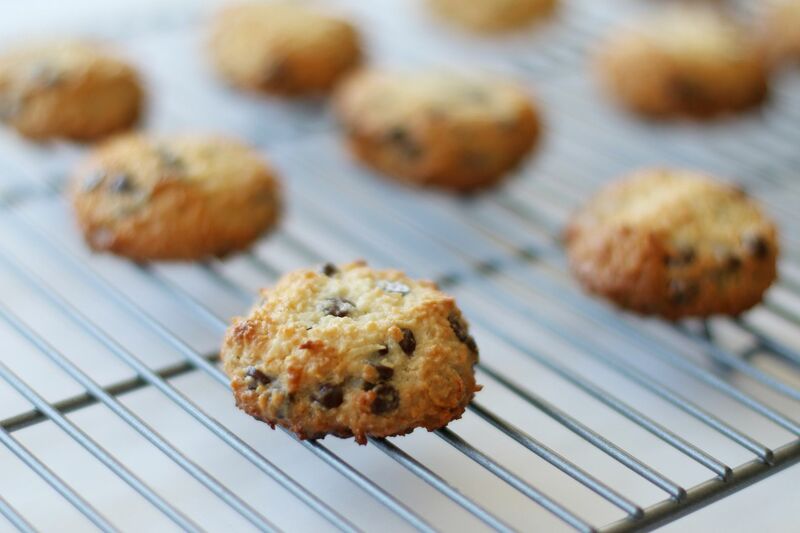 Line a baking sheet with parchment paper and drop rounded tbs size cookies onto the sheet. 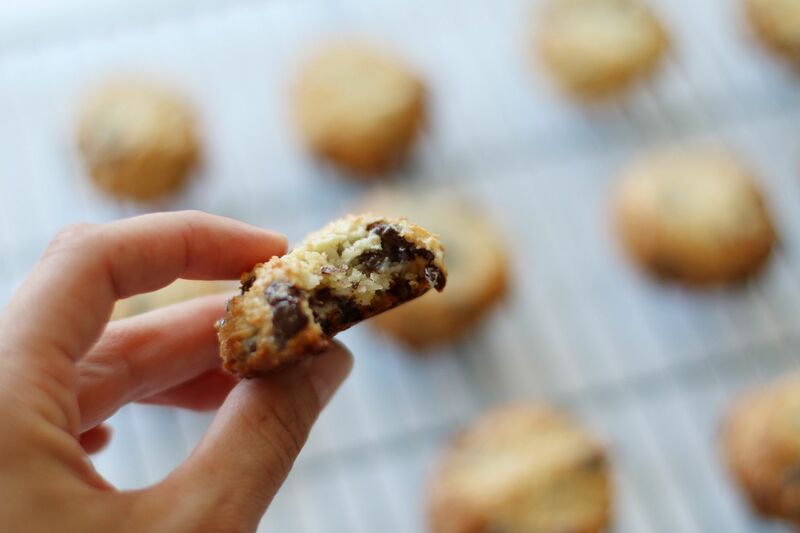 Flatten each cookie out slightly with the bottom of a spoon. 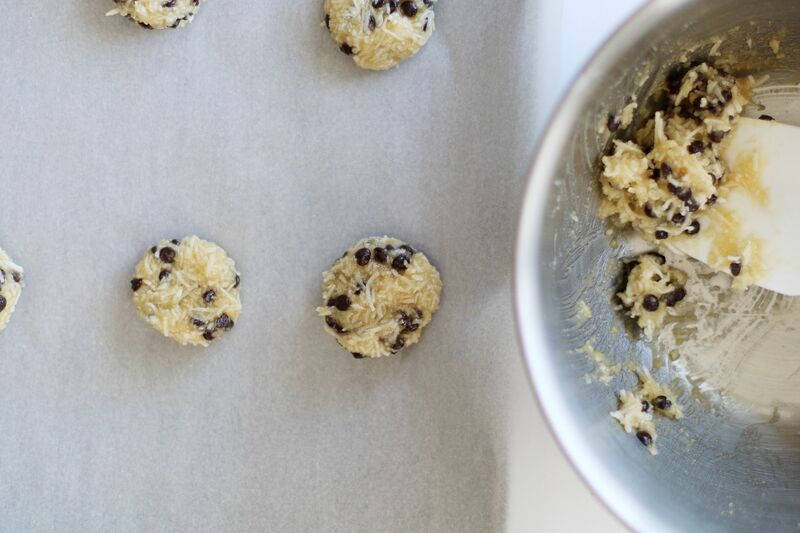 Bake for 12-15 minutes or until the tops are slightly golden. Come back and let me know what you think if you make these! Love all the recipes you post! Cant wait to try these! 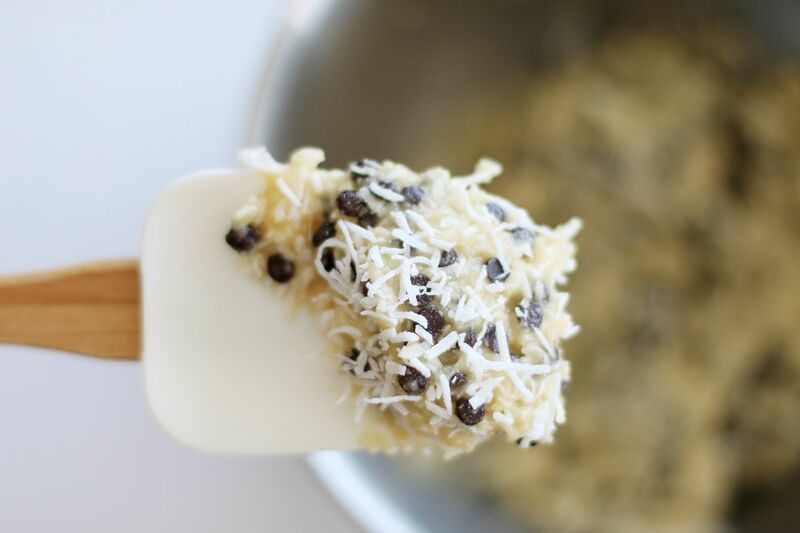 I want to make these but add some rough chopped pineapple, but am unsure how that will affect the texture. I think it would be too moist. Any suggestions? I was thinking of possibly tossing the fine diced pineapple chunks in some macadamia nut flour after patting it dry? I made these the other week. They were delicious! However, the next time I make them, I plan on reducing the amount of salt.